Open Educational Resources (OER) have revolutionized the way we learn by making a wealth of learning opportunities freely available to anyone with an internet connection. However, 4 billion people lack access to the internet and cannot use these resources. As a result, the knowledge gap is widening. 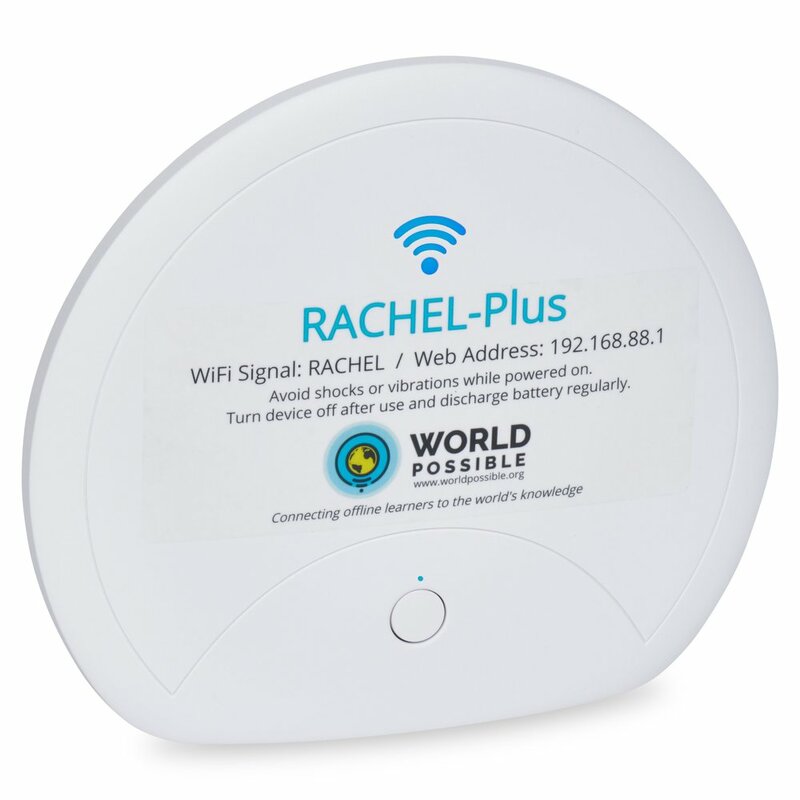 Meet RACHEL, the plug-and-play server that can connect a whole classroom of computers to a world of educational content with a single click. Technology alone rarely solves a problem. We see technology as an enabler, which in the hands of a good teacher, can fundamentally change opportunities for youth worldwide. Our chapters exist to spread RACHEL, yes, but also, to develop training materials, local content, and best practices for other users to adopt RACHEL. Want to hear about new content, features, and other updates from World Possible? Sign up for our newsletter.